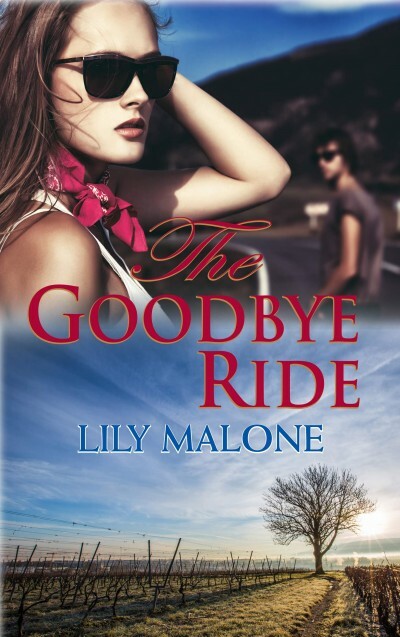 Your mission, Lily Malone, should you choose to accept it: Self Publish your new novella, The Goodbye Ride. So that’s what I’ve been doing this past weekend, and my mission is a SUCCESS! Houston… we had no major problems! Just a little bit of techno-juggling between my MS Word laptop, and my Pages Mac, converting files from Pages to Word then to HTML… sending them to my Kindle so I could watch the e-book take shape and preview everything. And my e-book is working fine! It was so exciting to send my own e-book to my Kindle and read it on there. I’ve even enjoyed adding in all those things like acknowledgements and dedications and promo material into the mix. I’m really happy with the story, and with how the e-book looks. I absolutely love The Goodbye Ride cover, designed by Wendy Johnston of Bright Eyed Owl. I’ve learned so much. I’ve learned how to hyperlink within the book to create a Table Of Contents that actually works (squee moment), and how to create ‘guides’. My only hiccup was with the fonts – I lost all my italics – (heart attack moment), but I worked out what I’d done and managed to fix the problem. (By then, requiring a stiff Scotch moment). The Goodbye Ride is now live on Amazon. It’s a few days early, but I have read so much about problems with uploading the files, or time delays in getting the book live, that I didn’t think it would matter to have it online a few days before its ‘official’ release. But for followers and friends – please don’t rush out and buy it yet (unless you really can’t wait!). On its official Release Day – May 23 – you can get it free at Amazon (time differences and Pacific Standard Times vs Eastern Standard Time willing); and it will be free for several days. Watch here and on Facebook – I’ll be sure to let you know when! In the meantime (like I said – if you can’t wait) buy it here. You can also check out my page for The Goodbye Ride and add it to your TBR list at Goodreads. Yeah, Lily! Good on you for succeeding in your mission 🙂 Hope it sells itself a million times over. Now I know an expert…beauty!! !